Will Wermerskirchen and Morgan McWethy outside the White House in Washington, D.C.
For the third year, the College of Fine Arts took part in a Universitywide initiative to send summer interns to Washington, D.C.
Redbirds at the D.C. alumni dinner. Front row, from left: Ruth Neaveill ’71, student Will Wermerskirchen, student Morgan McWethy, and Yvette Nonte ’83. Middle row, from left: Rodney Neaveill, Alice Schumacher ’03, and Daniel DuBravec ’83. Back row, from left: Demetria DuBose ’81 and Michael DuBose ’81. Wermerskirchen jumped into his internship head first, working on production of the final show of the company’s first season, Disassocia. The Washington Post gave rave reviews to the show, which ran through the end of June. McWethy is an education intern at Washington Performing Arts preparing for and implementing its summer K-12 children’s programs, which include strings, jazz, gospel, step dancing and other types of camps. The College of Fine Arts provides significant support to the students in the form of group housing where all Illinois State interns live together. They also receive a small living stipend and a tuition waiver for their internship class. Additionally, they participate in myriad extra activities including a Nationals baseball game, guest speakers, visits from Illinois State faculty and staff, tours of our nation’s Capital, as well as alumni functions. 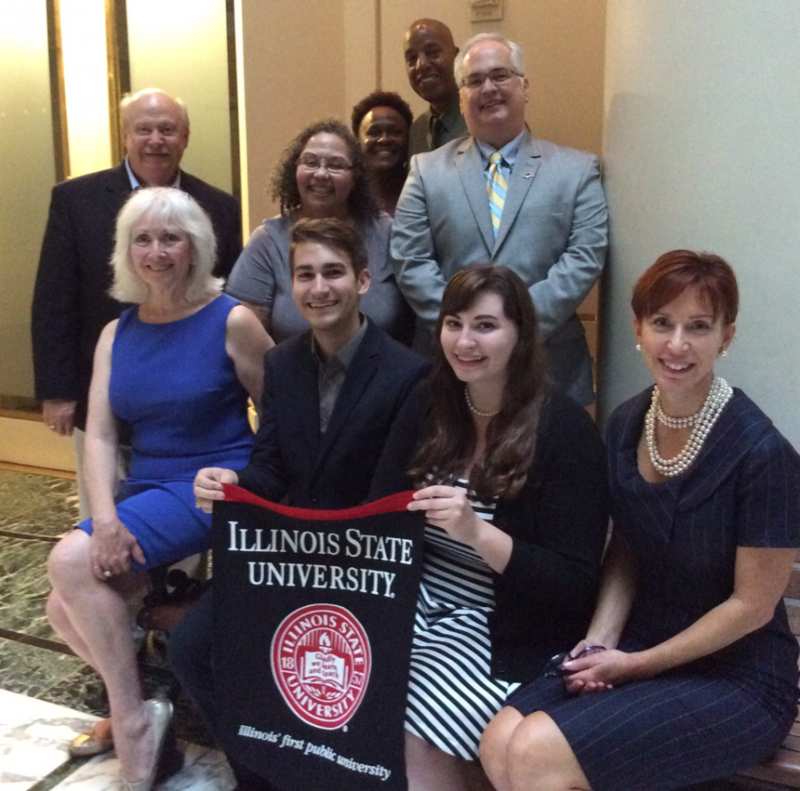 McWethy and Wermerskirchen attended an alumni dinner with nine Redbirds with a range of graduation dates from 1971–2003. 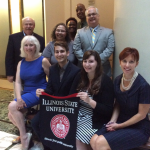 It was a great opportunity to connect current students with alumni, as well as hear about what Illinois State alumni are doing. The college plans to annually host an alumni event in conjunction with the D.C. internship program. If you were not able to attend this summer, please consider attending in the future. If you are aware of a promising D.C. internship of which we should be aware, please contact Janet Tulley with more information.